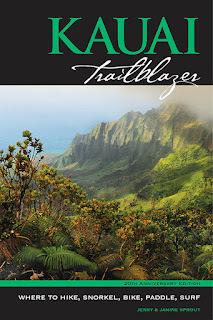 The trail from the top of Waimea Canyon follows the rim of the Kalalau Valley, drops into a botanical wonderland (Alakai Swamp), and ends at a platform looking 4,000 feet down to Hanalei Bay. It's a mind-blower. The stats: Round-trip of 7.5 miles, with 1,000 feet of elevation. The Pu'uokila Overlook is the end of the road and the start of the trail (called the Pihea Trail at this point). You get a big long look down to the Kalalau—reachable only via a hairy 12-mile trek that begins way around on the north shore of the island and follows the Napali Coast. 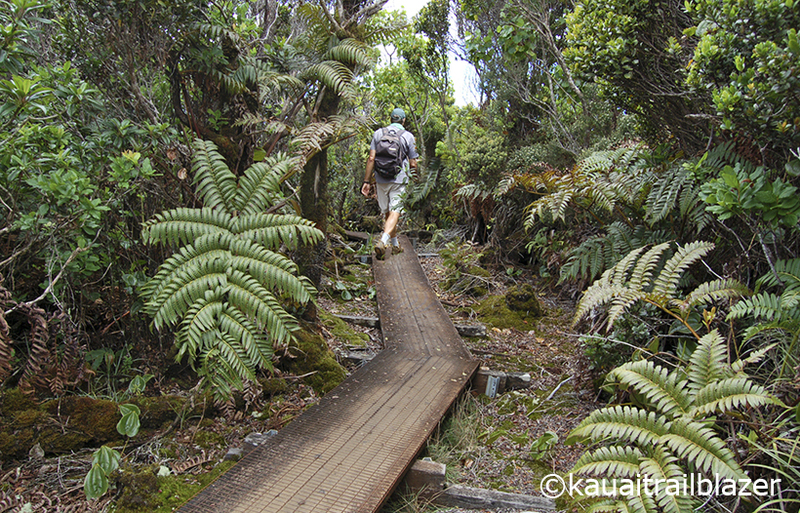 One section of the Pihea Trail is hands on. Hiking poles will help. You'll also want to bring outerwear for possible rain and cooler temps. Once in the swamp a miracle happens, in the form of a boardwalk spanning miles through tropical gardens. Staircases connect portions of the boardwalk. The trail tops out and flattens for the last mile or so, through dwarf vegetation and frequent fog. Leaving the boardwalk here can be a fatal mistake. The swamp gets about 40 feet of rain per year. This section ends at the Kilohana Overlook, with the airborne view of the north shore. If the fog is in, be patient, since it often parts, revealing a heavenly look through clouds. 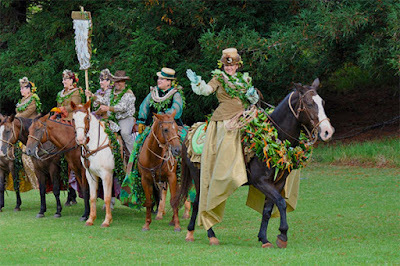 The trail into the swamp approximates the journey of self healing taken by Queen Emma and her retinue, after the death of her husband, King Kamehameha IV, and their young son Albert. Hula dancers performed ritual dances along the way out of respect for the life-giving plants. 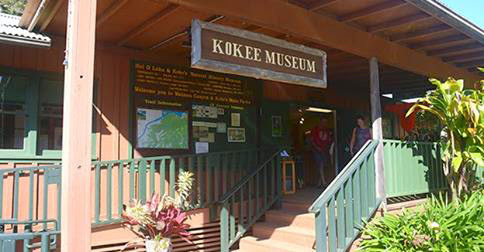 A yearly event at Koke'e Museum commemorates the queen. Set in a large meadow in forestlands, Koke'e Museum is the place to start and end hikes around Waimea Canyon. It's one of the top museums in Hawaii. 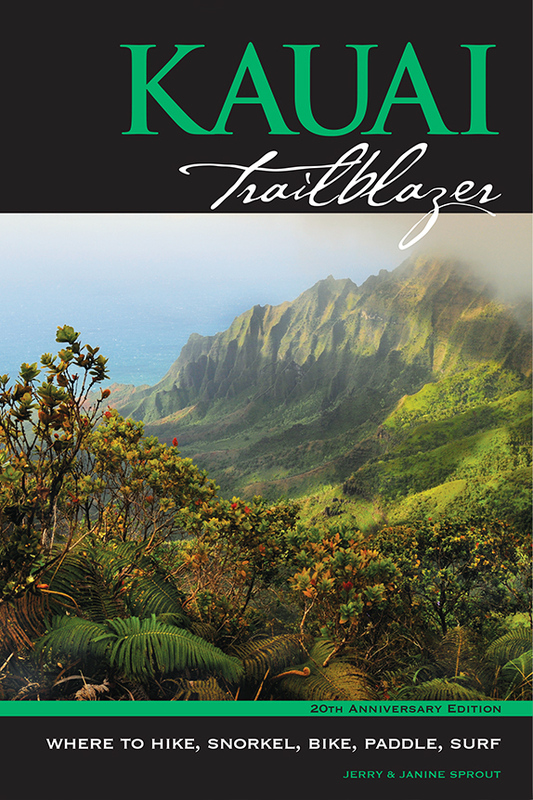 To find all the other great hikes and beaches on the island, pick up a current copy of Kauai Trailblazer at the museum.